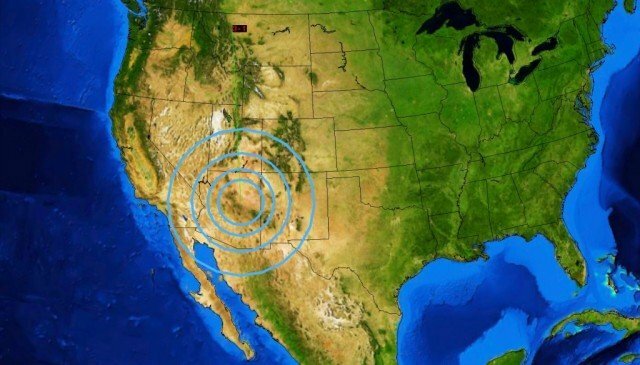 A 5.2-magnitude earthquake hit southeastern Arizona near the New Mexico state line on late Saturday. There were no initial reports of major damage or injuries. According the US Geological Survey, the quake struck at 10 p.m. PT (1 a.m. ET Sunday) and was centered about 31 miles northwest of Lordsburg, New Mexico, and about 179 miles east-southeast of Phoenix. The epicenter was shallow and was in a sparsely populated area north of Interstate 10 and just south of the small town of Duncan, Arizona.